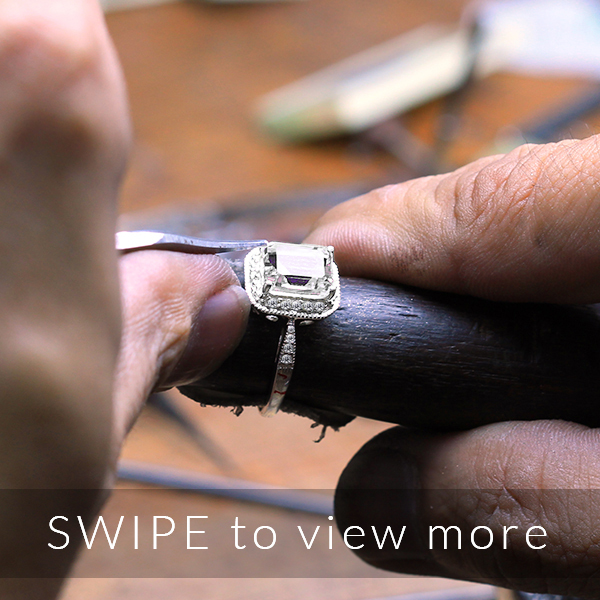 Prefer a custom engagement ring? 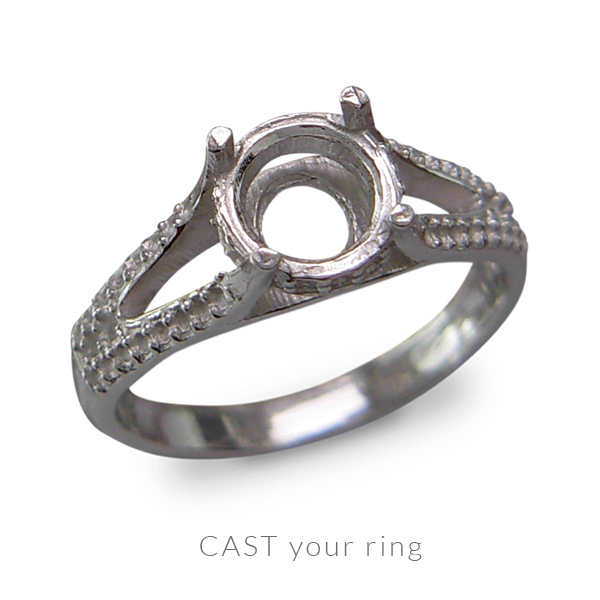 to your ultimate YES Ring! 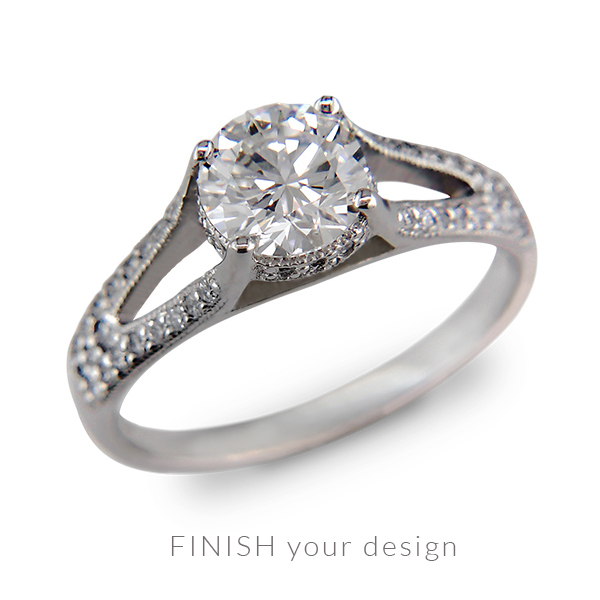 We design all types of custom bridal jewelry. 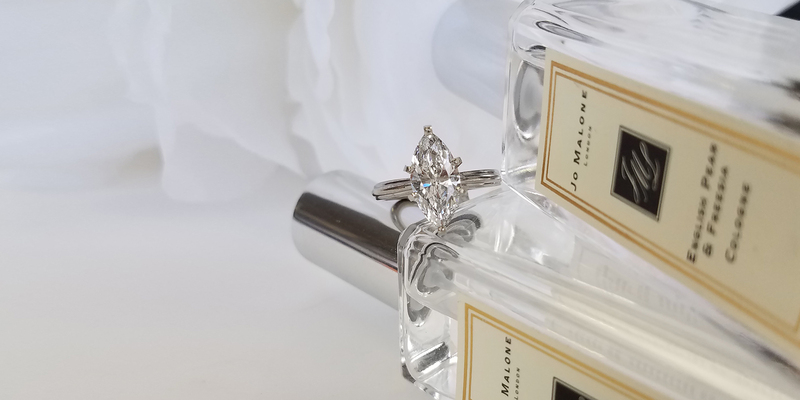 Engagement rings, wedding bands, earrings, and more. 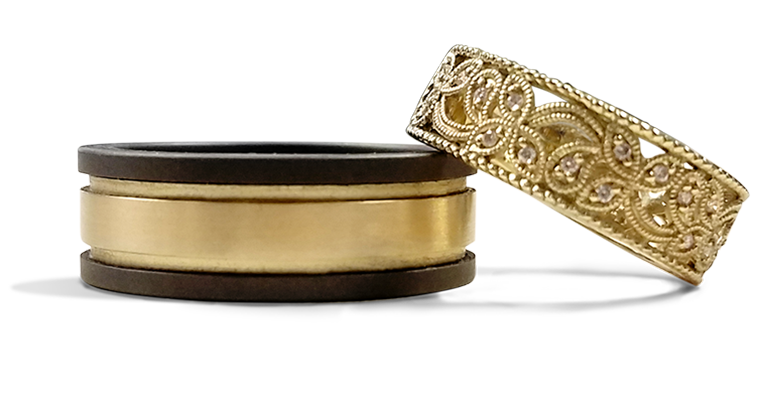 And yes, we can even incorporate diamonds and gemstones from sentimental family jewelry. Have questions? We look forward to them. 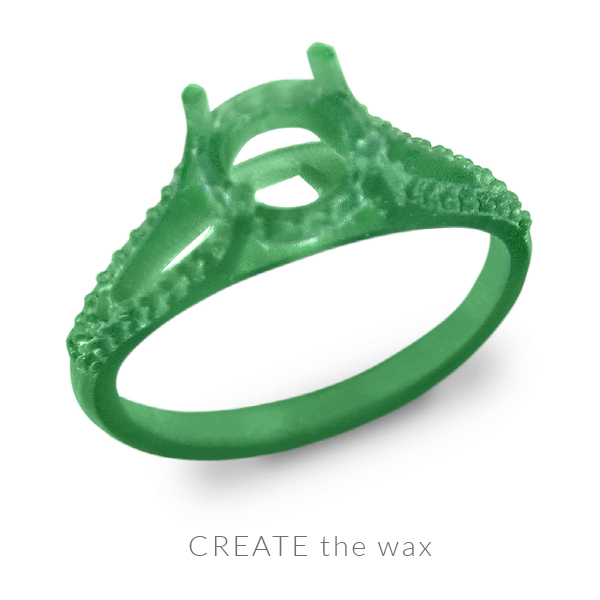 Let us create your Ultimate “YES” Ring! We start with links to your favorite styles online, explore top engagement looks on Instagram, or you can bring in pics from a magazine. No design in mind? That’s fine too. 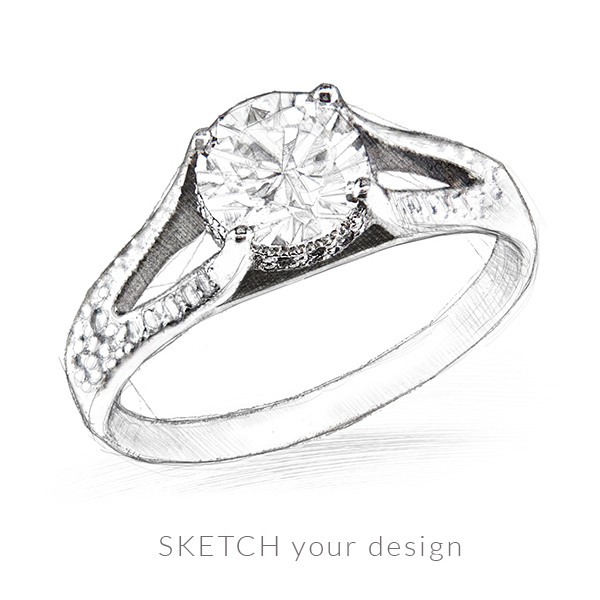 Let our engagement ring designs inspire you! Pop by or schedule an appointment. 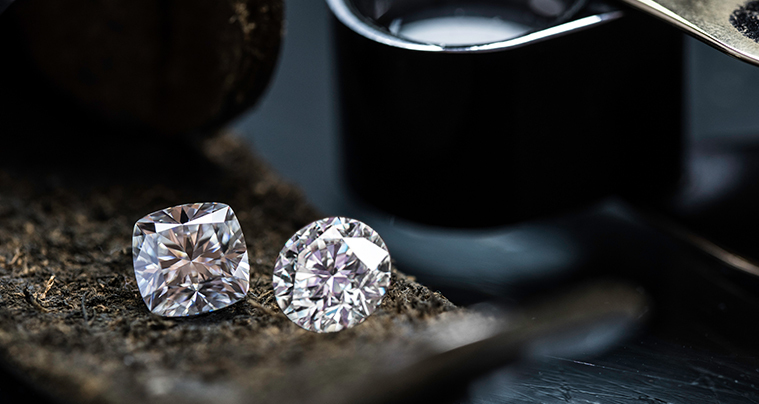 We buy and sell our diamonds according to the Rapaport diamond price index aka, the RAP Sheet. 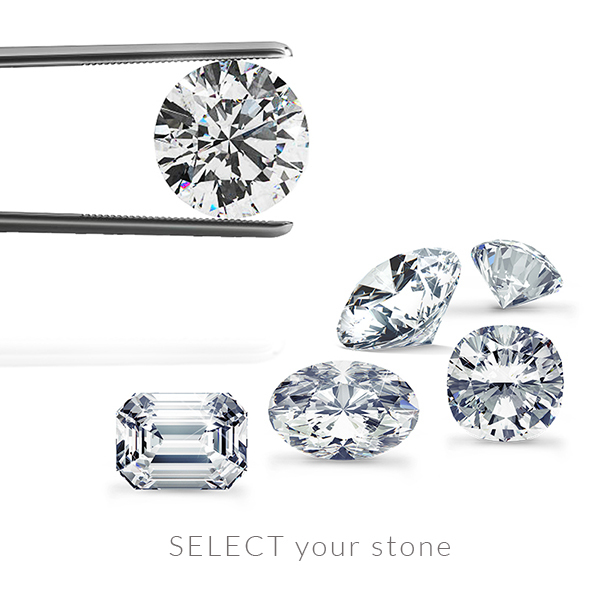 Our customers are often able to purchase their diamonds “below RAP” – this means great pricing direct to you. This place is amazing. They helped with my custom designed engagement ring. It is perfect. We were able to take in some of my family diamonds and have them put into the ring. We couldn’t be happier. Time for your wedding bands?